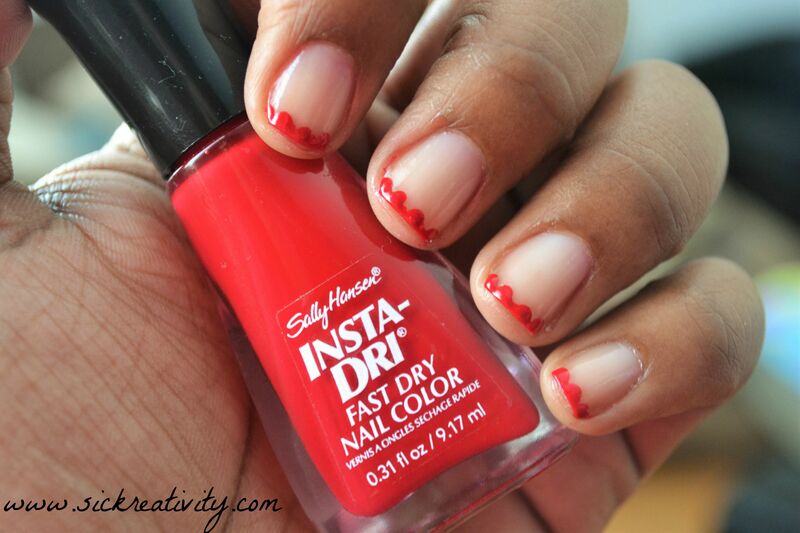 When I saw this mani on Pinterest I just had to try it. It was too cute not to. 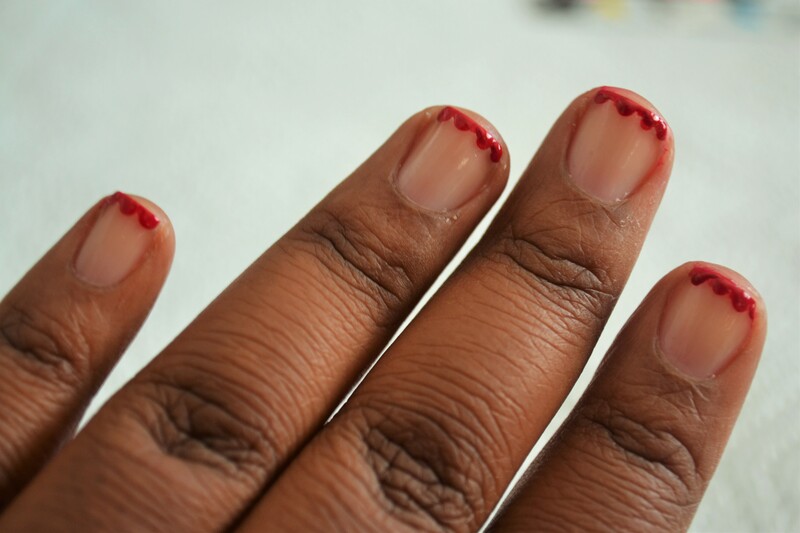 Step 1: After applying your base coat, using your dotting tool, make dots on the tips of your nails. 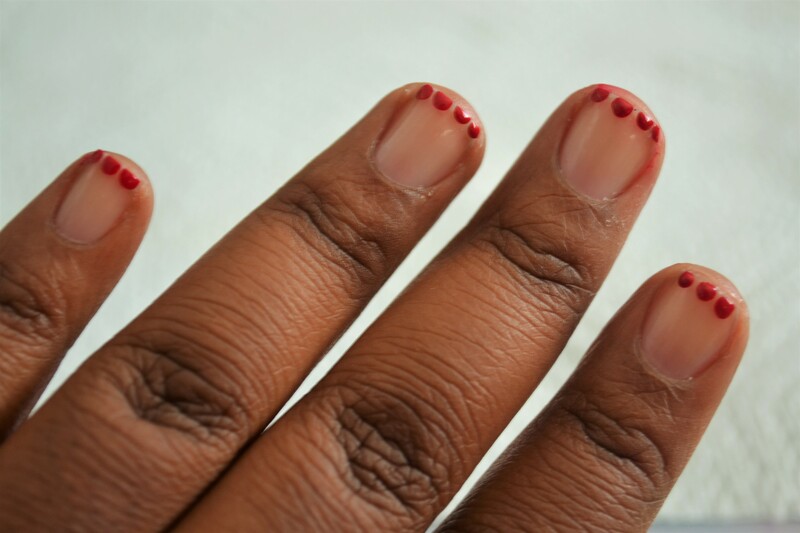 Step 2: Using the brush of your polish, fill in the spaces between the dots, but only cover half of the dots so that it will create a scalloped effect. Step 3: Put your topcoat on and you’re finished.